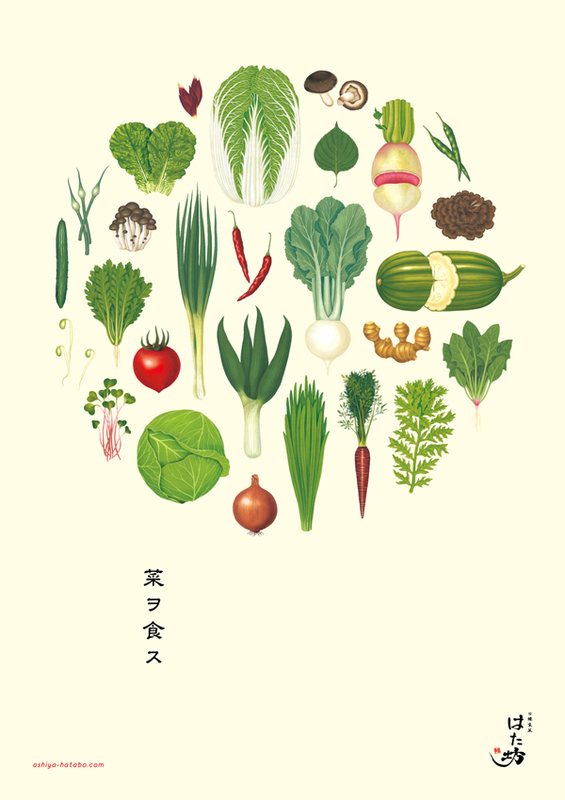 This is the poster for a Korean Restaurant serving lots of vegetables. The illustration shows all fresh vegetables served at the restaurant and the round shape expresses harmony of tastes created by the chef with in-season foodstuffs. The background is cream-colored so that it emphasizes warmth of the illustration drawn by hand.